On the 1st of every month, for the next three months, starting today, we will share with you interviews conducted with a few interesting people whom we have met during our travels or with those who live to travel. These are people who inspire and amaze us and hopefully, will make you want to pack your bags to explore a unique destination that you have always had on your bucketlist. 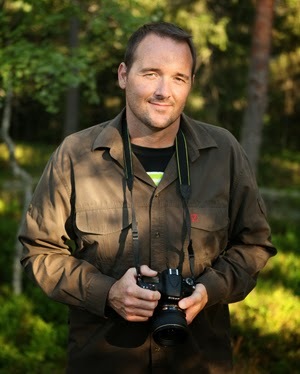 This month’s interview is with Chad Blakley, the person behind ‘Lights Over Lapland‘. We met Chad during our trip to Abisko, Sweden and joined him on a photo tour to learn to photograph the northern lights. His success story is one of dedication and commitment to one’s interest. 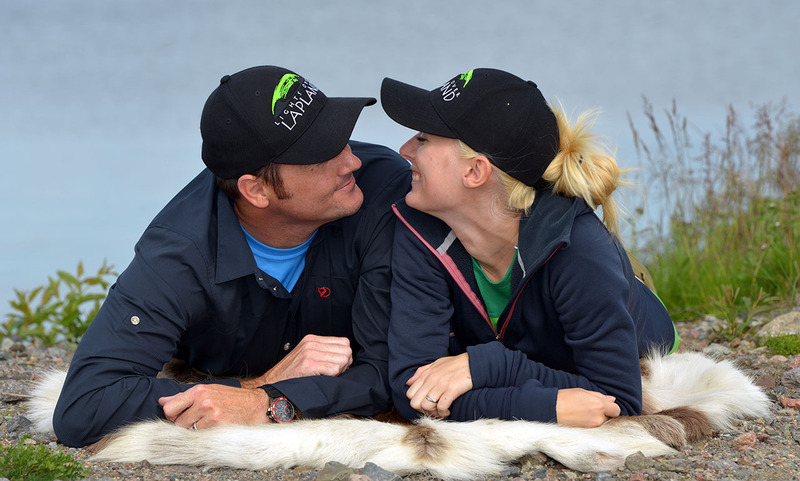 A little over six years ago, Chad and his wife, Linnea, moved to Abisko National Park to take on seasonal summer jobs, but quickly fell in love with the breath-taking landscape and warm people of Northern Sweden. 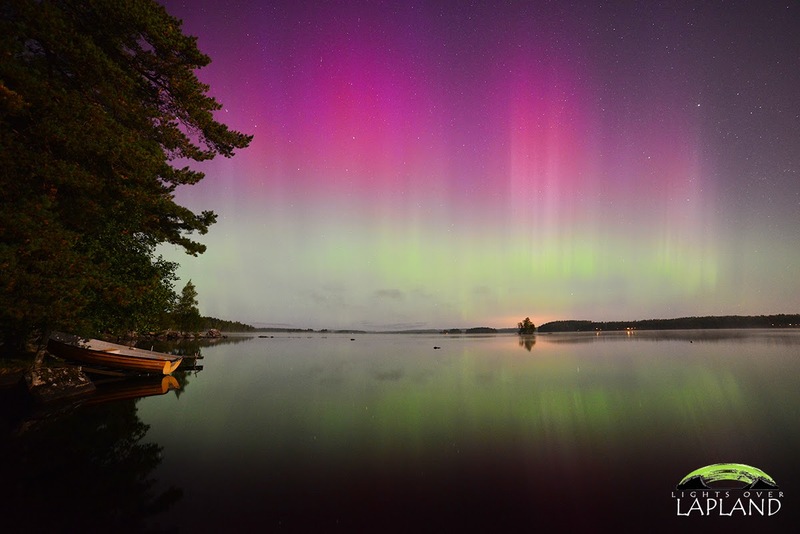 ‘Lights Over Lapland’ is their venture into photography to capture and portray the wondrous nature they observe first-hand in Swedish Lapland. When did you pick up the camera for the first time? What made you start Lights Over Lapland? My interest in photography began at a young age. When I was a teenager, I worked for the local newspaper in a small town outside of New Orleans, Louisiana. During my college years I started a small but successful business photographing weddings and students preparing for graduation. Though I truly enjoyed the technical aspects of photography, I soon grew tired of the repetitive scenes. I put down my camera and thought that my days behind a lens were finished. Nearly ten years after losing interest in photography, something incredible happened – I saw my first aurora. Since that cold, dark night in the far north of Sweden I was hooked. Since then I have spent thousands of hours outside photographing the star-filled skies. I am proud of the fact that Lights Over Lapland was the first company to offer aurora photography adventures in Abisko National Park and is currently the number one activity in Abisko on Trip Advisor. I am humbled by the opportunity to live and work in such an amazing place. I am originally from the US and have a background in IT sales and service. When I met my wife I was working as an outside sales representative for a small tech firm contracted by Cisco Systems. After Linnea and I were married I decided to quit my job, sell everything I owned and start a new life in Sweden. As an English Speaking immigrant the only work I could find was as a dish washer at the STF Abisko Turiststation in Abisko National Park. When I moved to Abisko in 2008 there was very little interest in the northern lights and most of the hotels and restaurants in the area were all closed between October and February so I did not realise I was moving to what would soon become the northern lights capital of Europe. One night as I was walking home after washing dishes I noticed a green light in the sky – at the time I did not immediately realise what I was seeing. After a few minutes it dawned on me that I must be looking at an aurora. I decided right then and there that I had to learn how to photograph the northern lights. Since I had a very modest salary as a dish washer I had to take on a second job at a mustard factory to save up enough cash to buy a new camera. I worked as a mustard maker for several weeks to buy the necessary equipment. The next winter I had all of the gear I needed and my venture into aurora photography started. 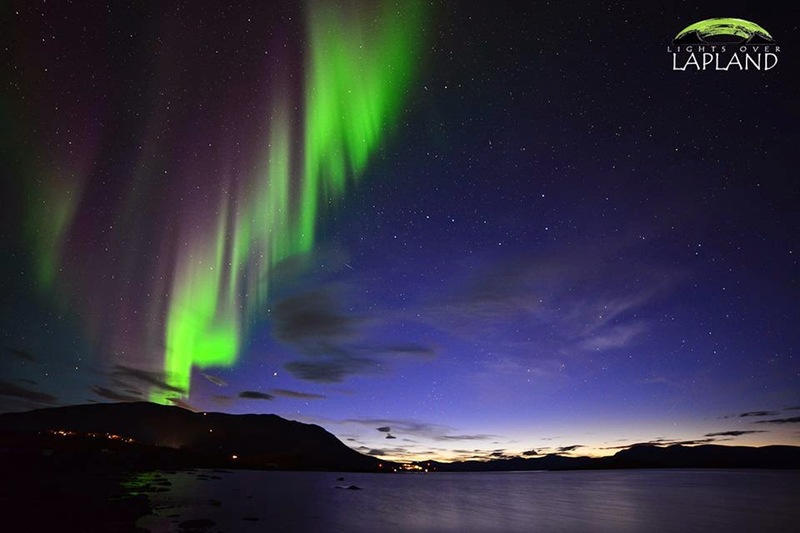 Lights Over Lapland – Tell us the growth story please! After a couple of seasons working as a dish washer I was approached by the management of the Aurora Sky Station and asked to work as an English speaking host so the station could communicate effectively with their international guests. This new position allowed me to spend much more time watching, researching and photographing the northern lights. This opportunity also allowed me to take lots of aurora photographs and build my portfolio of images. As my photographs gained more and more attention in the media I decided to take a leap of faith and began marketing Lights Over Lapland’s first Aurora Photo Expedition. The Expedition sold out almost as soon as the trip was released – I was elated 🙂 On the second night of our first trip, one of the largest aurora displays of the decade danced in the sky and I was fortunate enough to capture the entire event on video. The resulting film was picked up by National Geographic and our little company was catapulted into the international spotlight. The next morning I was interviewed by several local, national and international news organisations and a new aurora photography company was born. Since then we have continued to grow at an amazing pace. That first season we had a total of 13 guests – The following year 500 people joined us on a tour (you were one of them), in 2013 we had nearly 1500 clients and this year we anticipate more than 5000 guests to be split between our three guides. We are proud of the fact that all of our guides are professionals of the highest caliber and that we have been able to maintain an excellent level of quality on all of our tours. Photo tour with Chad Blakley in February 2012 – can you spot Ankur and me? You would have had plenty of strange encounters with your guests till date. Would you care to share a couple that have been memorable – the good or the bad – your choice! We certainly have had our share of strange encounters over the last few years. We have seen massive meteors, fireballs, comets and even a few UFOs but it is the overwhelmingly positive responses that our clients show when they see the lights for the first time that leaves a lasting impression. Auroras have an amazing effect on people – I have seen grown men cry, couples have proposed to one another during our trips, elderly guests have fulfilled life long dreams of watching the lights dance overhead and people from every imaginable background have enjoyed what they referred to as “religious experiences” while they were in our care. I am truly blessed to be able to share these moments with our clients and I consider it one of the greatest achievements of my life to be a part of all of their memories. The lights keep you occupied during the winters. What keeps you occupied during the summers? Linnea and I are very fortunate to live the lifestyle that we do. We work incredibly hard from September to April but we get to enjoy a much more relaxed lifestyle during the summer. We usually try to travel as much as possible and see exotic locations in the sun. We often travel to Asia, South America and the US to replenish our vitamin D after a dark, cold winter. It is also worth mentioning that this summer we invested quite a bit of time developing a new company called Visit Abisko. Since Lights Over Lapland (and other new companies in the area) has helped to create such an increase in traffic to and from Abisko we saw an opportunity to start a new company that offers affordable daily transportation to and from Abisko as well as daily guided tours to Narvik, Norway and the world famous Icehotel. Our first trip starts on December the 1st – we are very excited about this new venture! Our last question – Are you a compulsive traveller yourself? Which is your favourite destination? I am absolutely a compulsive traveller! My wife and I take every opportunity to hop on a plane and go somewhere new. Even though Abisko is a far off, exotic location it is still possible to have breakfast in the National Park and enjoy lunch in almost any major European city. I am working on this interview en route to Amsterdam 🙂 I am often asked about my favourite travel destination – this is an incredibly difficult question to answer! If I had to commit to a specific destination I would probably say that my favourite destination is the 2 kilometre wide island of Gilli Air in Indonesia. The island has no cars and all electricity is provided by gas powered generator. I can honestly say that it is one of the most relaxing places on Earth! The island of Kauai in Hawaii is a close second as it has one of the most amazing stretches of coastline I have ever seen! If you ever have a chance to tour the island with a helicopter do it without hesitation – it is stunning! While I absolutely love Gilli Air and Kauai I can honestly say that there is no place I would rather be than Abisko National Park – it is my kind of paradise. What a story! Has a visit to the Arctic made it to your bucketlist? Having been there, we assure you that it is worth every ounce of effort and money! The above video is just a trailer – here is a longer time lapse video of the northern lights to mesmerise you! As always… send us an e-mail if you need any further details. Glad to help! It truly is! We want to see the lights again! That's true….passion and dedication is all that you need!